652W Manual Offering good quality & super-discount price! 652W image projector is a compact, powerful projection light for indoor. It is suitable for the restaurant and places like karaoke, the club disco, and the lounge bar, etc. It is very compact and low power consumption. It can also be use in places which is silence and romantic like concert, western restaurant, exhibition, art gallery etc. Can easily project image at indoor, manual zoom, without machine noise. Features : Low power consumption, high color rendering, OSRAM IRC high luminance lamp combined stabilizer. Image fixation type projector with 5-10°zoom lens. The tripod make the projector moveable. 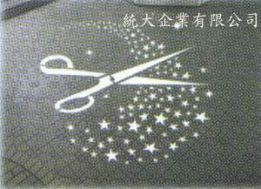 Excellent spatial art and sales promotion advertisement lighting, handily by the button operation which is easy to operate. DMX FPC zoom manual control, button operation which is easy to operate, don't have to use DMX.